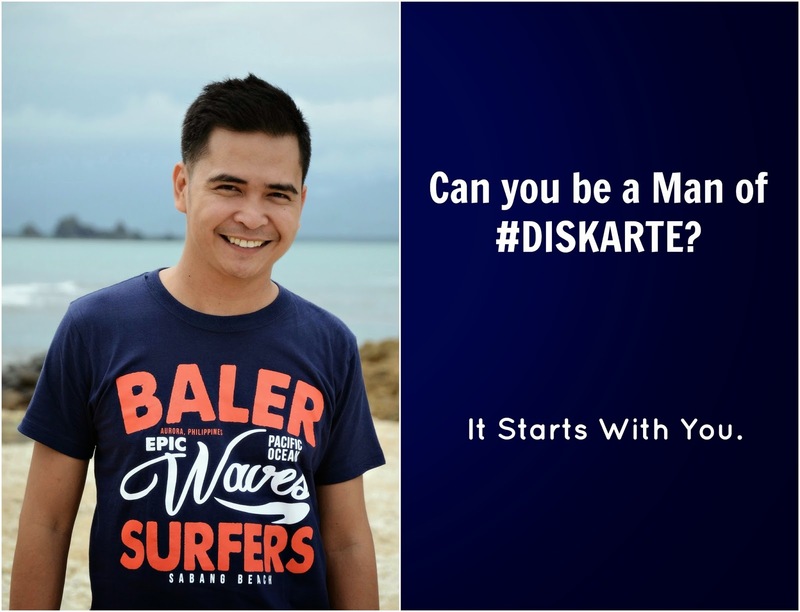 Can you be a Man of #DISKARTE? Diskarte is one of the many instinctively Filipino traits that is really hard to define in just one word. Could it be the combination of some traits such as Intelligence? Strategy? Wit? Quick thinking? Being street-smart? Resilience? Almost. But not quite. Even Merriam-Webster and Oxford may not be able to define it, so instead of going through the pages of the dictionary, let's try to read between the lines. To make it more understandable in the English language, Diskarte can be summed up as: "The manner of handling and making the best out of a situation in a smart & confident way." "Diskarte" is about how you act and react on the things happening to you on your day-to-day activities. As you course through the inescapable but certainly conquerable trickiness, awkwardness, and unexpected possibilities of situations that will come your way, you know you can oh-so-suavely roll with the punches. On a really bad day, you will face some unexpected situations. It could range from getting stuck in traffic while running late for a much-awaited flight, finding yourself in the wrong airport just as you're nearing your flight's departure time, being stuck in a long queue at the check-in counter, and on top of it, leaving your mobile phone or memory card at home. Surely, you've had those days. Again and again. The best thing to do is to make the most of what you have and what you can in every tricky situation. These things could happen and being a man of diskarte is being able to pull through, no matter what. Being a Man of #Diskarte means being able to keep your cool and play it smart as you exercise your quick wit and charm. You should always try to find that sometimes elusive silver lining behind the thick grey rain clouds. And as you live through that day - or any other bad and unlikely day - you tell your story so people will just get inspired by you on how you made it through. No matter what comes your way, be it the life-changing challenges in your personal or work life, down to the everyday and minute hiccups of your social life, you, the Man of #DISKARTE, should be ready to face them head on. What is important is how you make the most out of it in a smart and confident way. As a Filipino, you have it in you to be a Man of #DISKARTE. It starts with the self-awareness of knowing your strengths and weaknesses to figure out how to make the best out of what you have, in every situation. It’s definitely not about having good looks – not everyone is blessed with that. It’s about feeling good and confident in one’s skin and that’s an area where NIVEA MEN can help you with. Nothing less can be expected from the World’s No. 1 Men’s Skin Care and Grooming Brand; NIVEA MEN will give you that extra boost needed to help you reach your everyday potential. As I traveled through the 81 provinces in the Philippines, I have encountered some travel challenges along the way. One of these days, I'll be sharing to you 10 #Diskate Travel Notes and Tips that will make it easier for you to appreciate traveling. Watch out for it!